This expert, unbiased buying guide will help you find the best ceiling fan for your home. 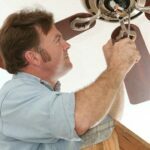 It discusses types, how to size a ceiling fan, and options to consider. The ceiling fan— a child of the Industrial Revolution—is still one of the most sensible solutions to home comfort despite a virtual revolution in the world of home comfort appliances. After more than a century, ceiling fans continue to be a simple but charming supplement to home cooling and heating. When buying a ceiling fan, you’ll find styles that range from sleekly contemporary to ornately traditional. Why this lasting popularity? Certainly charm is a factor. For some people, the steady, quiet whirl of the paddles evokes the romance of bygone days and sultry summer afternoons. More important is the fan’s practical side. It makes a room more comfortable and lowers energy bills. By forcing warm air downward in the winter and stirring up breezes in the summer, it decreases demands on heating and air-conditioning systems. And yet it operates on just pennies a day. During the summer, using a ceiling fan in conjunction with an air conditioner will allow you to set the thermostat higher without a noticeable difference in comfort. A fan’s breeze will make a 79-degree room feel more like 72 degrees. By raising the thermostat, you can save up to 30% on your air-conditioning bills, depending on your home’s construction and where you live. In the winter, a fan can re-circulate warm air that naturally rises in a room and is trapped at the ceiling. All you do is turn it on in the reverse direction (most have reversible motors). 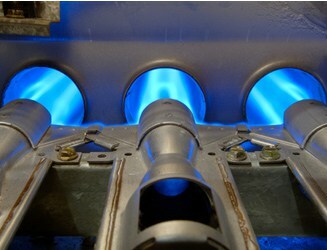 By bringing warm air down into the living space, the furnace can work less. 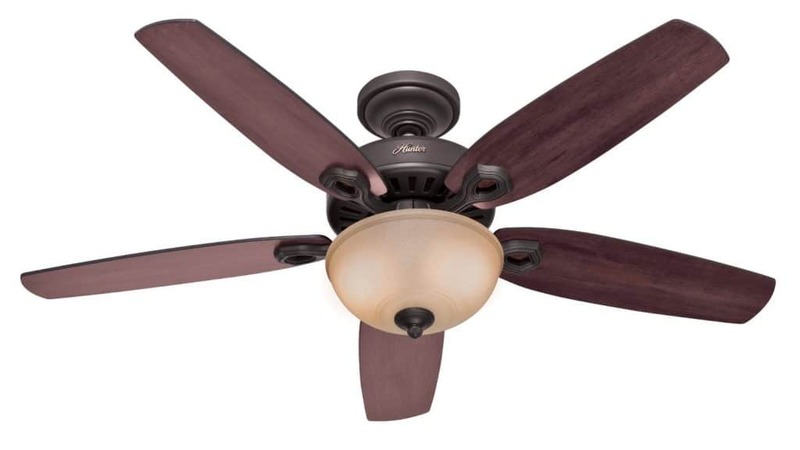 Popular ceiling fan features five blades and toffee glass light bowl. Buy on Amazon. The best of today’s ceiling fans have taken a considerable step up from their ancestors. They benefit from better motors, more durable materials, more handsome finishes, and intuitive controls. You can choose from scores of styles, configurations, sizes, and prices. Here we offer information to help you choose the best ceiling fan for your needs. Most fans are mounted at a ceiling box where a light fixture was formerly located. Typically, the light switch is replaced with a control that allows various fan speeds and—if the fan includes lights—light settings. It’s important for this control to have a capacitor design and be made by the same manufacturer as the fan to eliminate buzz and hum. “Intellitouch” model, by Casablanca, can be remote controlled. Buy on Amazon. Fans located at an electrical box that isn’t controlled by a wall switch can be operated by a pull chain or, with some brands, a remote control. Casablanca’s Intelli-Touch remote control is very sophisticated. This control features programmable light and fan settings. It even automatically adjusts fan speed to suit changes in room temperature and turns the fan light off and on in an irregular sequence when you’re away from home. Fans have from three to five blades; the traditional number is four. The number of blades does not affect performance much. Some say that more blades actually move less air because there is less space for them to grab air. But the number of blades does tend to affect cost. Generally speaking, the more blades the higher the cost. 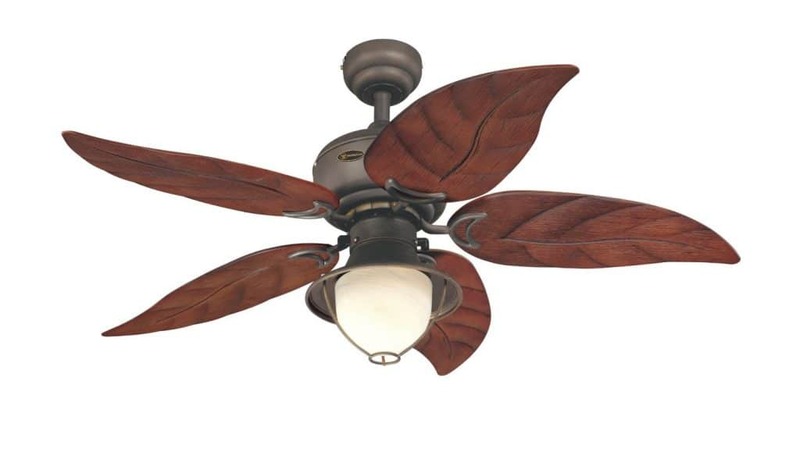 Mahogany toned leaves form the blades for this indoor-outdoor fan. The blades are made of ABS. Buy on Amazon. Blades come in several lengths, measured by the full blade sweep they produce: 30, 42, 44, 46, 50, 52, and 60 inches. Most manufacturers only make two or three different lengths. Long blades move more air than short ones. Blades are made from a number of materials and are given a wide variety of finishes. Natural wood and painted blades are made from solid wood, cross-laminated veneer (like plywood), and the less expensive veneered constant-density board. Finishes include natural, appliance white, cherry, oak, walnut, burled camphor, bleached oak, white, faux granite, rosewood, black, high luster, colors, and more. Some blades have a reversible finish—for example, they might offer a bleached oak look on one side and a painted white finish on the other. Simply turn the blades over to completely transform the fan’s appearance. Other blades are made of clear or smoked acrylic. Hunter’s Original Outdoor fans feature blades of washable sailcloth stretched over a frame; the fabric is available in several colors. Both Casablanca and Fasco have similar offerings. A rule of thumb is to use a 52-inch fan for up to a 400-square-foot room, a 44-inch fan for up to 225 square feet, and a 42-inch fan for up to 144 square feet. For rooms more than 18 feet long, consider using two medium-sized fans. If possible, put the fan in the middle of the room, close to where people gather. Be sure the blade tips are at least 24 inches from walls or sloping ceilings. Fans mounted close to a ceiling may produce a “cavitational effect,” which means they move less air. Some surface-mounted, low-profile fans—Hunter’s, for example—are designed to circulate more air than standard models. For ceilings taller than 8 feet, hang the fan from a drop rod so that it’s down where it can be more effective. The distance the fan should hang from the ceiling will depend on the ceiling’s height. A fan should never hang lower than 7 feet from the floor. Strong support is required for all ceiling fans. Their heavy weight and centrifugal motion strains hangers. 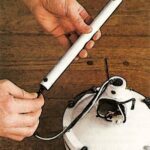 Because of this, they must be mounted to conventional ceiling light fixture boxes that are securely fixed to framing members or they must attach to hooks, metal crossbars, or special hangers meant for fans. Ceiling fans can cost from as little as $39.95 all the way up to several hundred dollars, depending on their quality. A high-quality fan has several traits that you’re not likely to find for under $100. It moves air effectively and quietly. The parts are well designed, made from high-grade materials, and sport lasting, attractive finishes. The motor has several speeds. And, it’s backed by a long-term warranty—at least 10 years. Although fans are rated by the amount of air they move, measured in cubic feet per minute (CFM), these ratings are not terribly relevant because they are not based on universally accepted standards and because a fan is rarely used at full speed. Movement of air is a factor of the pitch, length, and number of blades; their distance from the ceiling; and their revolutions per minute (rpms). 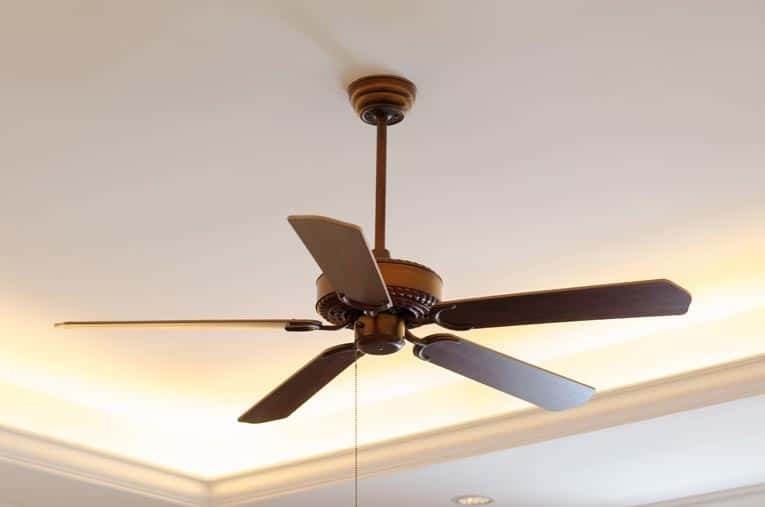 A weak motor can spin short blades quickly if the blades are at a minimum pitch of about 10 degrees, though this type of fan is likely to be noisier than a fan that swirls longer blades at a 14-degree pitch more slowly. Some inexpensive fans sold through mass merchandisers have motors made in China. These have proven to be unreliable, as evidenced by high return rates. Low-end fans lack quality in construction and design— they’re likely to wobble and hum even at low speeds. A motor should have sealed bearings that require no lubrication (these should run quietly for up to 12 years). The best measure of motor quality is a company’s reputation and warranty. Also be sure it is listed by Underwriters Laboratories or an equivalent testing agency.